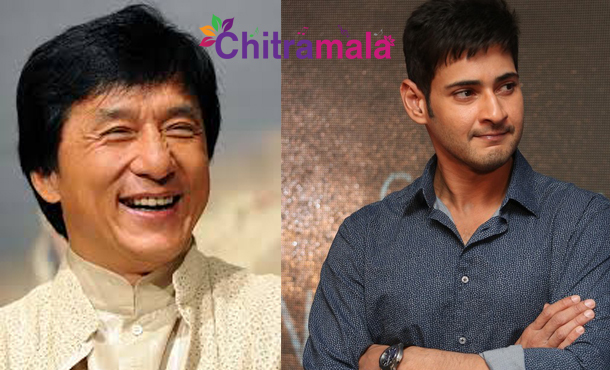 Jackie Chan in Mahesh Babu Movie! The other day, while giving an interview to promote his upcoming film ‘Loafer’, director Puri Jagannath has revealed his plan to make a high budget film starring superstar Mahesh Babu and an International star. Although Puri didn’t reveal who that International Star was, we found out from our sources. Puri Jagannath is heard to have come in touch with martial arts star Jackie Chan through actor Sonu Sood. Puri shares a good rapport with Sonu after directing him in coupe pf films. Right now, Jackie Chan and Sonu Sood are acting together in ‘Kung Fu Yoga’. Puri contacted Jackie via Sonu and discussion is still in the early stage. Puri is yet to prepare the bound script, and this project might go on floors in 2017 only as Mahesh’s call sheets are blocked for entire 2016. Meanwhile Mahesh Babu is busy with the shooting of his forthcoming movie “Brahmotsavam” and Puri’s Loafer is getting ready for release and it scheduled for grand release on 17th of this month.